Detective Heroes – Margaret Rutherford as Miss Marple. Sometimes a detective hero takes a life of its own. 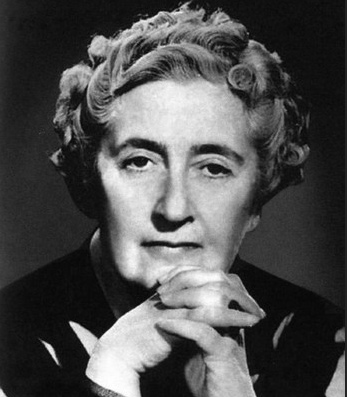 For instance, Agatha Christie created Miss Marple who is an elderly spinster who lives in St Mary Mead. 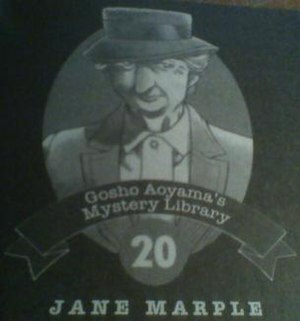 Miss Marple has been read worldwide and the books are definitely a good read. However, sometimes, something weird and wonderful takes place when an actor takes on the part of a detective. This happened for me when four Miss Marple films were made starring the indomitable Margaret Rutherford. For me, Margaret Rutherford is Miss Marple. What have I learned as a detective through watching Miss Marple? One of the first lessons she taught me is – do not be afraid of being a complete and utter nosy parker. In other words, eavesdropping is a valuable source of information. Of course, I would never dream of eavesdropping on your ordinary type of person – but if someone is a suspect, that is a different thing all together. If budding detectives want to learn how to go under cover, watch all the Miss Marple films starring Margaret Rutherford. She often pretends to be what she is not. As kids, it is difficult to do this sometimes as we can’t really apply for jobs in places where crimes might have taken place. Although, the better you get at disguising yourself, the more likely you are to be believed. 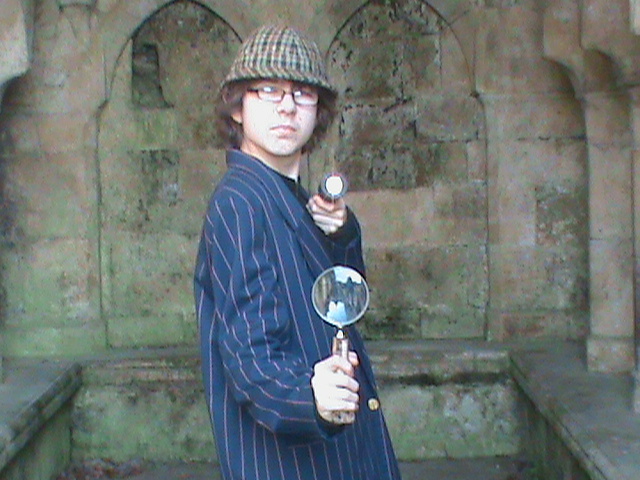 Well budding detectives, you are probably asking what have kid detectives got in common with Miss Marple. It is simple, people think because Miss Marple is an old lady, that she is stupid and so they say things they shouldn’t say in front of her. People also do that with kids. The more I think about it, like Miss Marple, we have more chance of solving crime than adults because criminals become careless in front of us. Have to go, Hamnet is shouting insults at me from the stone. He wants some company, I think. Detective Heroes – Nancy Drew. Nancy Drew is an excellent teenage detective from America. 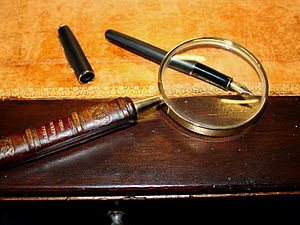 She knows the value of using a good magnifying glass and a strong torch to solve her cases. 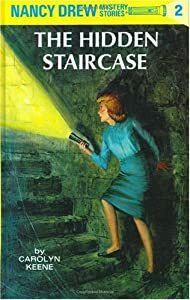 In “The Hidden Staircase”, Nancy Drew travels to an old stone mansion and finds a secret hidden passage. If she did not have her torch with her, she would have been stumped. So budding detectives, take note from Nancy Drew and always make sure you have your torch whilst out detecting. Nothing stops Nancy from solving her case, she is fearless and intelligent. In fact, she reminds me of my friend, Athena. As I said, Nancy Drew is American. She lives in a place called River Heights. Her father, Carson Drew is a criminal lawyer and Nancy worked on her first case “The Secret of The Old Clock” with him. 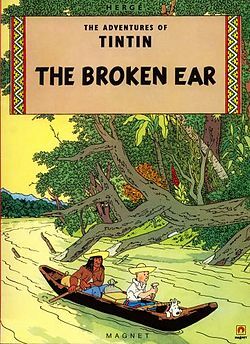 We see how clever and brave Nancy is when she actually rescues her father after he has been abducted. This happens in the case I mentioned earlier – “The Hidden Staircase”. Budding detectives often think that there is no point in being a detective because no-one will take child and teenage detectives seriously. This is not always the case. 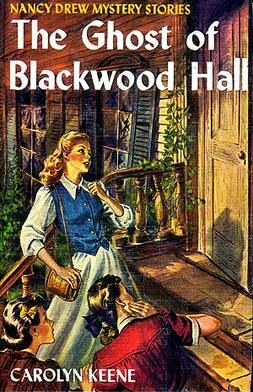 In “The Ghost of Blackwood Hall”, Nancy is asked to detect because she is not an adult. Mrs Putney has had all her jewels stolen and warned she must not go to the police or tell any man or woman what has happened. If she does, she will invite terrible publicity. She feels safe telling Nancy Drew, the best sleuth in River Heights, simply because she is a girl. Mrs Putney, therefore, is not going to the police or telling a man or a woman. This proves that young detectives are needed. This is the mysterious parcel. I need to investigate. 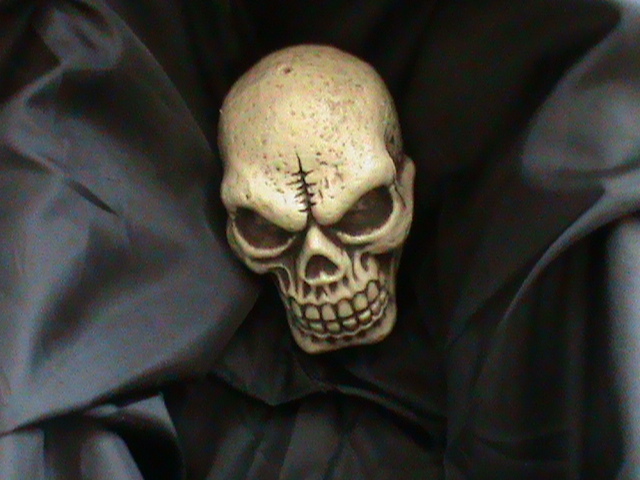 A mysterious parcel has arrived with a miniature skull inside it. 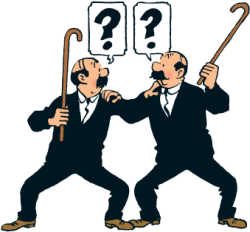 Until next time, budding detectives – I need to get my magnifying glass out. My Favourite Detecting Equipment (2). The Torch. No Adults Allowed. Detectives need the right equipment for the job. In my eyes, apart from the magnifying glass, the torch is king. If I did not have a great torch, I wouldn’t have been able to creep into The Floating Wreck Lighthouse in the pitch black when I needed to hide Hamnet (the boy in the stone) from the evil shapeshifter Ravensmite. In fact, even if you have a torch, when your birthday comes up, ask for another. 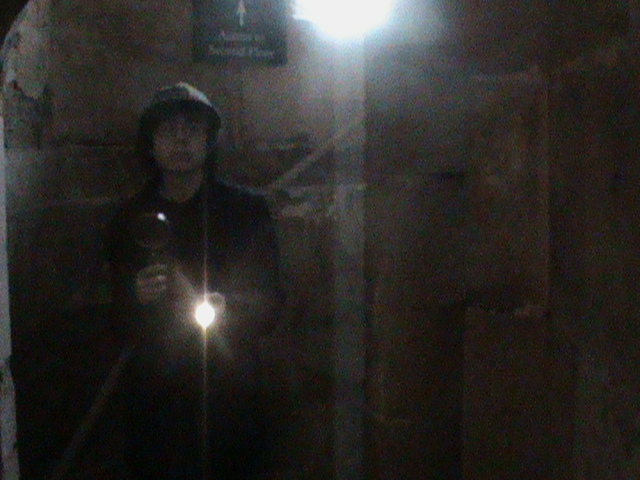 I would have been in a right mess if I hadn’t had my spare torch with me when I was hiding Hamnet in the lighthouse. He shouted and I dropped the torch down the lighthouse steps. If I hadn’t had a spare in my pocket, I would have had to find my way in the pitch black up 300 spiral steps. Here I am on my latest adventure. Top detecting tips for torches. When your brother or sister, or in my case a Stinking Shadow, creeps into your bedroom to borrow your stuff when you are asleep, pretend to be asleep. Have your torch ready and then shine it on them when they are rummaging through your favourite stuff. You will catch them red handed. They will think twice before they mess with a budding detective again. 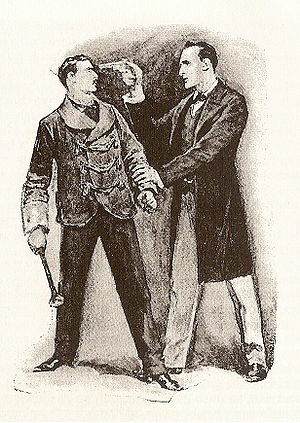 Detective Heroes – Sherlock Holmes. All budding detectives need other detectives to learn the trade from. We need to see how they find clues, how they question suspects, what tools they use and how they solve the case. 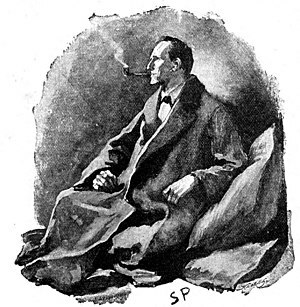 One of my heroes is Sherlock Holmes. I know that he lived a long time ago and was old but he was a master of disguise and could sniff a clue out like a bloodhound. He lived at 221b Baker Street in London but do not worry if you do not have a London address for your detective agency, a garden shed in Lower Pickleton will do just as well. The reason Sherlock Holmes solved so many cases was the fact that he noticed things which most non detectives miss. This is why, budding detectives, when you meet a suspicious looking person you must look very carefully at their clothing. It is always helpful to have your magnifying glass ready but try not to alert the suspicious person that you are onto them. So what are you looking for when detecting on a suspect? Sherlock Holmes would notice hairs on a person’s clothes. These could be animal hairs’ or human hairs’. So for instance, if a man had short, white Jack Russell hair’s on the bottom of his trousers, this would tell us he either owns a Jack Russell dog or that he has been somewhere where there is a Jack Russell dog. 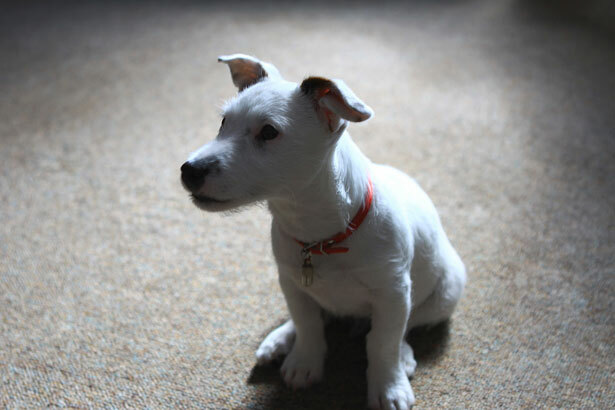 This might not seem important but it is if a house has been broken into which has a Jack Russell dog. It tells us two things: the Jack Russell in question was not a good guard dog because it was easily bribed with liver flavoured treats and also that the man in question WAS at the scene of the crime. A shadow has just passed by the window – I need to investigate -so budding detectives – remember Sherlock Holmes sees everything and so should you. Posted in: Detective Heroes, Will Blyton - The Alternative Detective.